Inspirational Quotes By Kiran Bedi: Super Motivational Stuff! 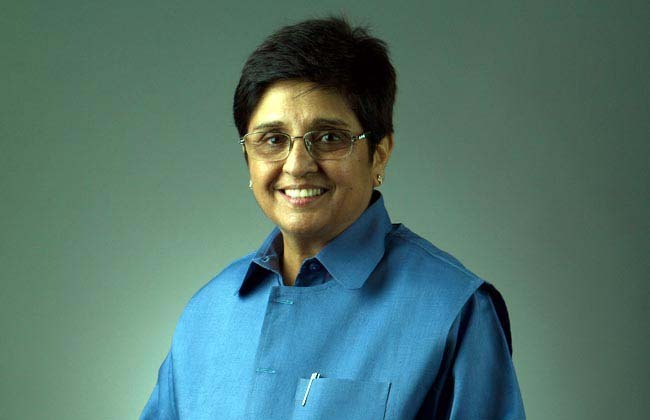 People from India need no introduction about Kiran Bedi. However, in case you are from another country, you do not know about her, let me give a brief profile. Dr. Kiran Bedi is the first female Police Officer from India and the highest ranking one has well. Throughout her career she exemplified courage and was known for her honest. Kiran Bedi became a role model to hundreds of thousands of women all across India. After her retirement, she also became a social activist, a anti-corruption activist and a politician. She is also a best selling author and the recipient of numerous awards, including the United Nations Medal and the Ramon Magsaysay Award, which is almost an Asian Equivalent of a Nobel Prize. If you have already seen the film or just want to read the quotes, let’s start! Success is a lifelong attitude of living which in the end gives you good health in terms of mind, body and soul. If you want to be empowered, work for the largest good. Work also for others. Empower yourself to empower others. That to me is a life worth living. If your parents are creating and enabling an environment of you doing and they are there to guide, what better opportunity and gift of God? Long journeys begin with small steps. Start your small steps and over a period of time you will realize how much of a long journey you have already traversed. To me, good health is great success. How can you achieve anything outside if you are sick within? Contentment and progress are not contradictory. You can be contended with your progress but the progress need not be contended. When I was growing up, I hated being ordinary, I disliked being ordinary. Because I looked at the ordinary woman’s life then and I found that it was hell, it was drudgery. I hated dependence. I saw the consequences of economic dependence, psychological dependence and mental dependence. I saw the consequences of a woman’s dependence on anybody else! I’ve never been given goals by my bosses. I’ve never been told what to do, I just do it myself. Why must my boss tell me what to do, why must not I do it myself? A lot others get left behind because they didn’t value what they had. They let time run out or they waited for things to happen. I don’t wait for things to happen, I make things happen. If you don’t make your own decisions, somebody else will make those decisions for you. I am my own boss. I am my own supervisor. It’s the thirst within which makes you win! No amount of water around you can make you win if you are not thirsty! You have to be thirsty to win, thirsty to succeed! The first thing I do when I get up is go for a morning walk. Everyday I want to sleep that much extra! Every day I have to kick away that desire to remain fit! A goal is a destination but reaching that destination means setting a bigger goal. Success is enjoyment. It might be hard work but you gotta have joy in it, only then it is success. When will we understand that we must give to society what we want for ourselves. Believe in yourself 100 percent and give it a hundred percent. You will get hundred percent in return. Self faith is real life, it’s living life, breathing life, experiencing life and even becoming oxygen for all others around you! When it comes to criticism from others, what is not true, reject it! What is true, correct it! I didn’t even know when I joined the Indian Police Force that there were no women. I didn’t join to be the first. My parents were never making me dependent on them for decision making. The training was such that I decide! Even if they were subtly suggesting something, it was I who decided. So they allowed me to do! If you have a family like that you are gifted. Take in as much as you can as it is a golden period of your life. A selfish person in the end, lives alone, dies alone and all his riches cannot get him what he really wants. I’ve never had a boss who told me “these are the wrongs that you must correct.” Why should my boss tell me what’s wrong? Why must I not know it and why must I not correct it myself? If you have reached your happiness level you are successful. But if you feel jealous about somebody else and you feel disenchanted with it, that’s the time you need to ask yourself, “Why be discontented, why be disenchanted? Why don’t I change my situation? The past is the past, you change your present and the future. Begin with small steps, long journeys begin with small steps. Start Your small steps and over a period of time you will realize the long distances you have traversed. Self discipline is the denial of certain things you may equally want but that desire is not as strong as what you really want to achieve. Success is enjoyment. If you don’t enjoy your work, you are just doing labor work. Be happy in what you do and spread happiness around you. If you want to be outstanding, stay focused on your priorities and remain grateful. Self discipline has to be directly proportional to the desire for your destination. An attitude of gratitude would keep anybody happy throughout their life. The sky is the limit became my task wherever I started with nothing. You need to give time to yourself. Think what do I want, where am I going, what am I not happy with, what do I love, what do I want to be. Answer within yourself. You will start getting self directions. Sometimes certain circumstances are not in your hands, accept that slow speed but wait for the change of the gear the moment you can! Don’t give up. Never give up! Winners succeed with themselves. They don’t compete with others. They set their own goals, they set their own bars, they reward themselves, they punish themselves! Super Motivational Quotes By Kiran Bedi: Part Two!